Performance and Cocktails – MostlyAboutBeer……..
A man before me (who I’d generously given way to) puts an order in for his small entourage at the bar. No bother. It’s not going to take long – there’s only five in his party. Not sure what he just ordered but then I don’t really know the names of the whiskies, ports or brandies. But why is the barman scrutinising a laminated document? He looks nervously around at the shelves. And then he gets out a chopping board. Limes get sliced. Something completely unnatural happens to a cucumber – it’s transformed into curly ribbons. And then a pestle and mortar appear from under the counter! 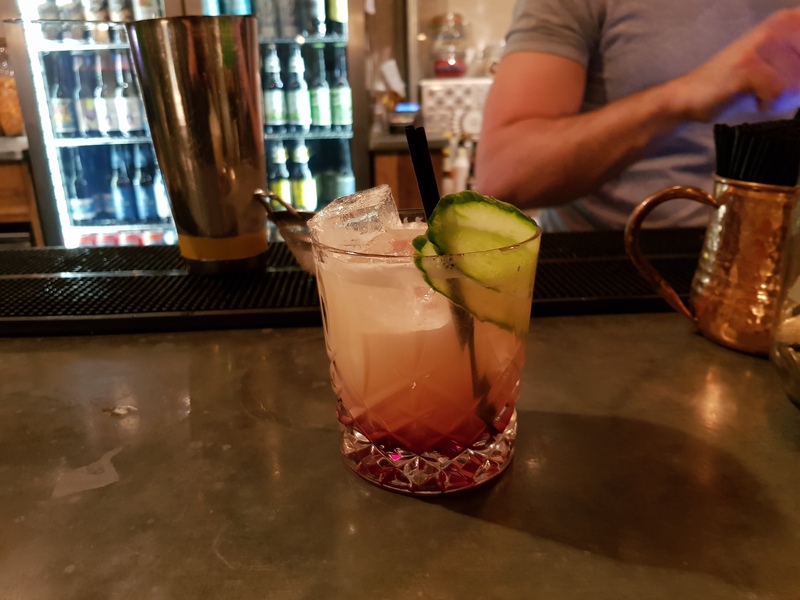 To non cocktail-focussed venues, a member of bar staff scrutinising the cocktail instructions with furrowed brow should be a criminal offence. We might as well pause for them to assemble a Tyssedal Ikea wardrobe whilst waiting to get served….. But every town should have a cocktail bar. Cocktails just need to be done professionally, confidently and quickly. 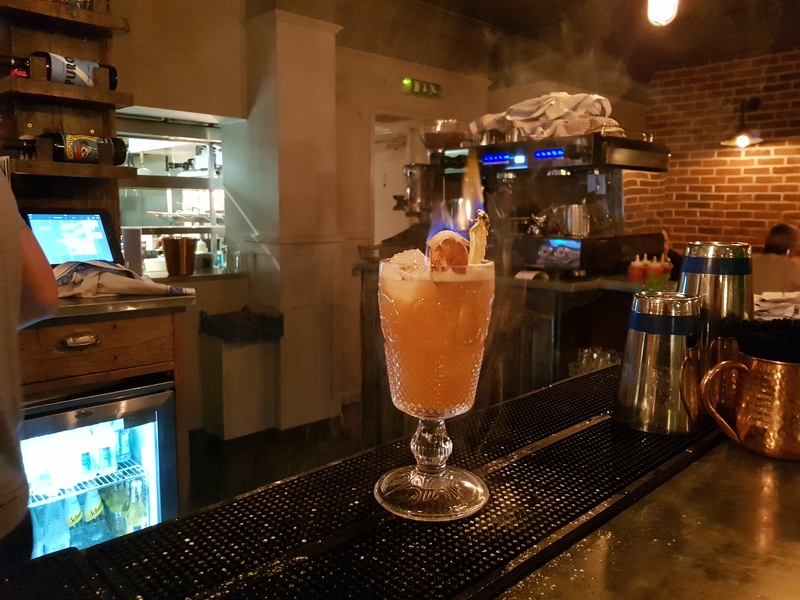 The practitioner is often referred to as a flairman/woman because cocktail making is a short burst of performance art which can even include live pyrotechnics (the correct term for that flamethrower is a culinary blow torch). It’s enacted on a higher platform to the spectators. Or maybe we should call that what it actually is – a stage. I’ve also noticed that the members of bar staff tend to be pretty well turned out. Were they ordered from a catalogue? Cocktails require their own bespoke tool kit for assembly. As well as the Tommy Cooper beakers, there are shakers, muddlers (thick stirrers), crushers, juicers, reamers (ridged finials that violently ravage the hearts of citrus fruits), zesters and squeezers. A flairman/woman tired of their trade could well make their fortune in the field of torture instead. 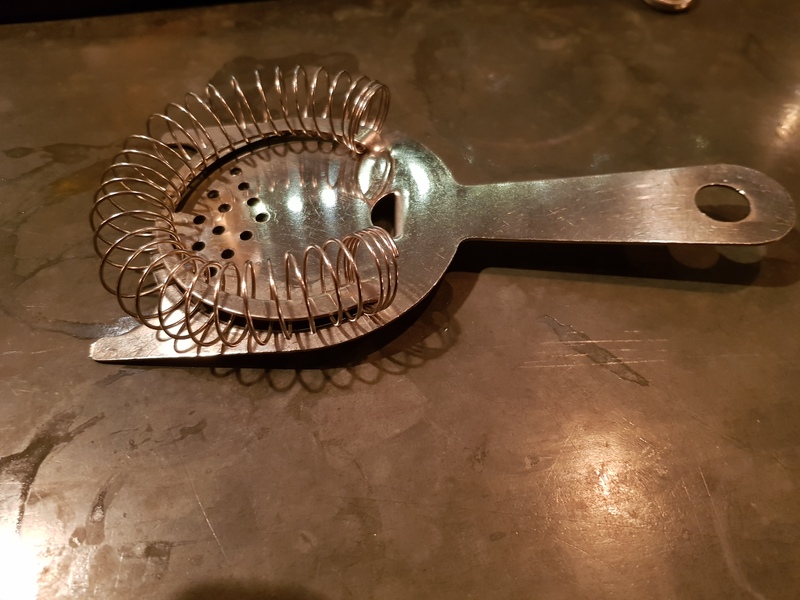 This bizarre thingy also has a name – it’s called a hawthorne strainer and allows liquid to pass through but blocks any ice from doing so. The spring contracts to “snuggle” into most glass sizes. Don’t say you haven’t learnt something today. Looking through the windows of cocktail bars is akin to seeing the cover art on progressive rock albums. They come up with a concept they like and just run with it. Only the cocktail bars have this freedom in the world of high street on-licence booze. The venues can reflect the culture of UFOs, desert islands, the wild west, Enid Blyton, steampunk or Balmoral Castle. In market towns, pubs are dragged back to the time of the pre-industrial past – an age which predated virtually all of their traditional breweries. Only the bygone is allowable. Public houses should be jealous of cocktail bars’ creative liberty. It’s got me thinking about how I’d envision a cocktail bar of my own. I’d base it on the ultimate concept album, albeit not from the prog rock cannon: The Planets by Gustav Holst. The bar would be elliptical and there would be a dark backdrop, LED lights in the ceiling would trace the formations of star constellations and extra backup musically would be provided by the scores of Interstellar by Hans Zimmer as well as tracks by our own extra terrestrial – Mr Bowie. 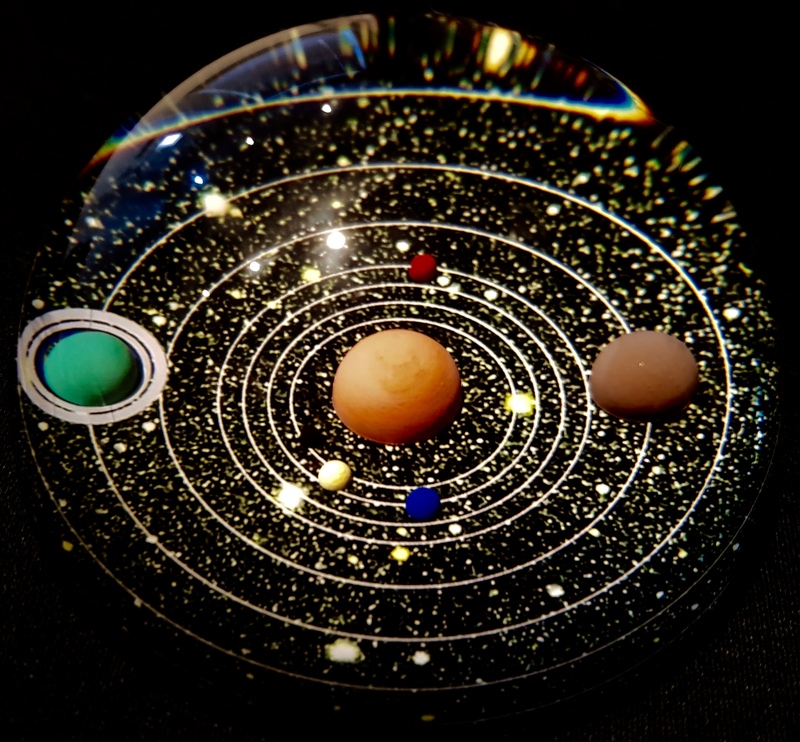 It goes without saying that the main cocktails would be named after the eight planets of the solar system (Pluto is on the menu too but only as a planetoid chaser served with ice. Anoraks like me will understand what I’m referring to). Oh, and don’t order the Kahoutahek – you might never recover. The solar system as envisioned by Holst/little me. But why are cocktails so gender-divisive? Is it just that the men are turned off by the glamour? The cocktails are being consumed by her and not by him, and often by a whole squad of hers together on a night out. For the miserable hims, why is the counterpart to a £10 cocktail a £5 spritz – 330ml – of gassy Lager in a straight glass? It’s hardly like for like. That’s what the hims seem to drink in cocktail bars. If they’re having a good time, they haven’t told their faces. A 10% imperial stout aged in Bourbon barrels is actually the same thing as a cocktail. The only difference is the time required running up to the serve. A spirit-aged imperial stout might take eight months to make, a cocktail maybe eight minutes. But when you’re at the bar, eight minutes in real time outweighs eight months as a backstory. Why don’t cocktail bars stock the imperial porters, barley wines and DIPAs in the fridge/on tap so that the cocktail and beer choices are more equitable? To my mind, they’d be exploiting two markets at once. Both worlds need to connect like the two outstretched fingers in Da Vinci’s The Creation of Adam. The term “mixology” sounds as reputable and socially erect as a branch of applied physics which I suppose it is. To be an adherent of mixology sounds more acceptable for a man to admit to, but it also sounds like he’s joined a cult. 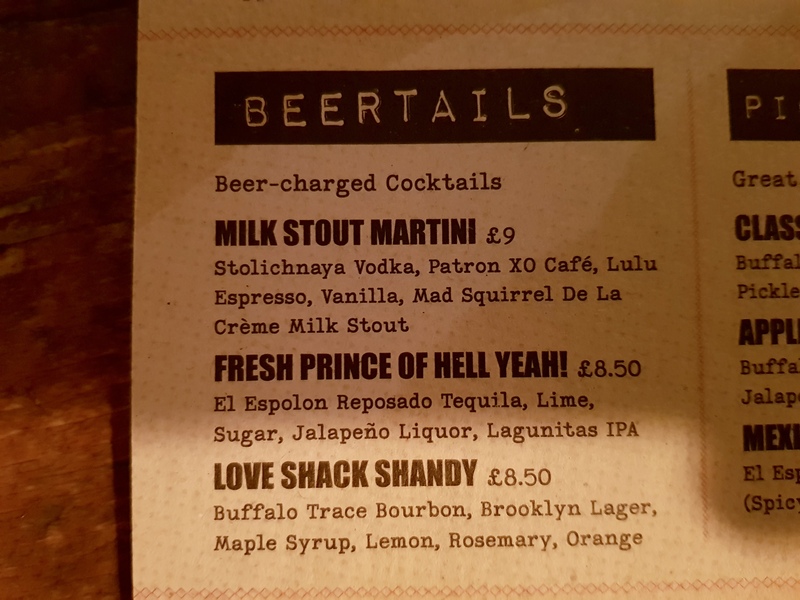 Mixology has also started to creep into beer – “beertails!” Yes they’re a thing – even outside Shoreditch. Coming soon to a town near you…..
For the purposes of researching this post, I’ve been diligently perusing the bars to look for proof that a gender bias is still reflected on the ground, but an interloper has made things more difficult: the resurgence of gin. In gin’s previous heyday, was it ever mixed with the amount of fruit and vegetables it is now? It can be any colour and be served in any glass. Gin now soaks up more fruit than Summer Pimms! This means that I can’t tell the cocktails from the gin anymore. 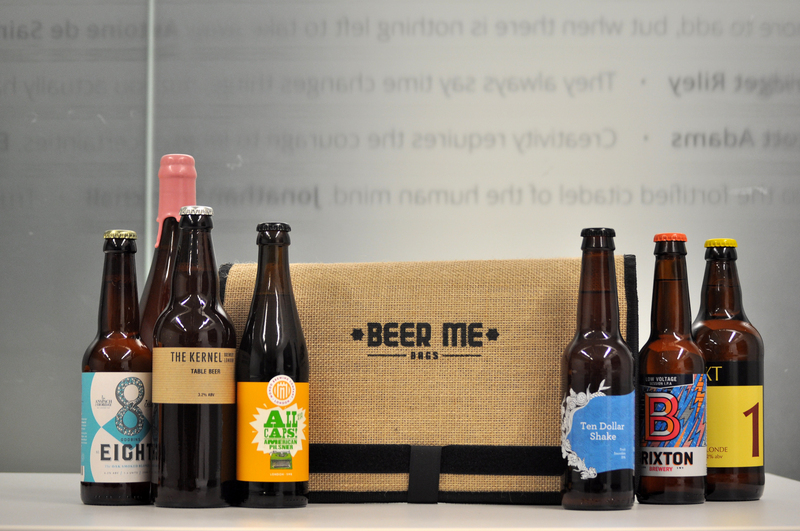 In the not too distant future, the realms of beer, gin and cocktail might completely merge. It seems okay for the men to sink gin, though – even through a bright yellow straw! Are these new waves of male gin quaffers actually closet cockertails hoping one day, when it’s deemed more acceptable, to burst out of the drinks cabinet? I was going to leave a comment along the lines of “wow”, but the question you need to answer to post is too difficult.